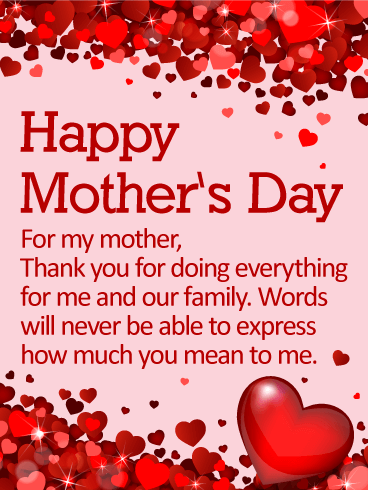 Every mom is special in her own way. 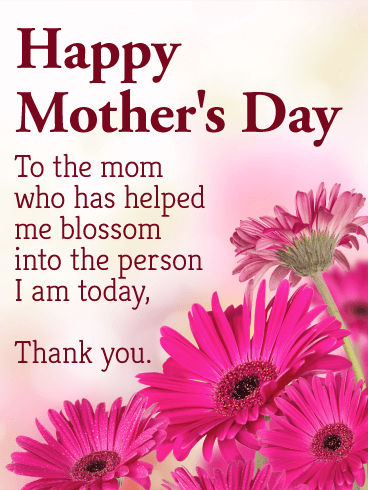 Let her know you're thinking of her and remembering her on Mother's Day with this lovely card. 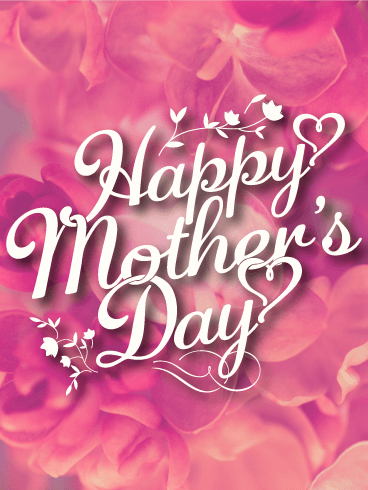 With its heartfelt message and bold typography, it's perfect for anyone to send a wonderful mom in their life. 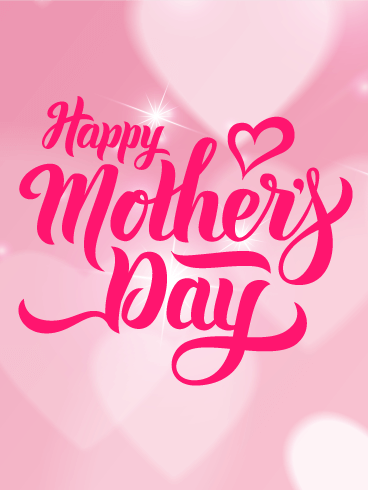 Happy Mother's Day to a very special mom, from all of us. You're loved beyond measure and thought of fondly, today and always. Is there anything cuter than a puppy on a heart-shaped pillow?! 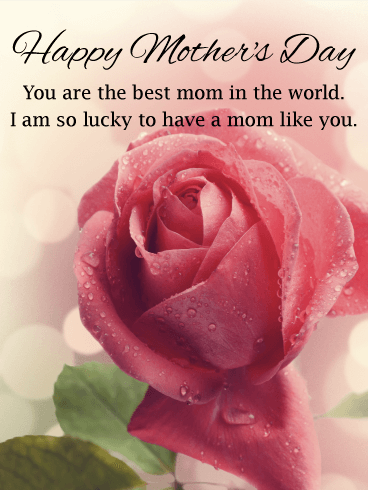 Show your mom how much you care with this absolutely adorable Mother's Day card. This is the perfect choice for any mom who can't get enough of dogs or spends way too much time on Facebook watching puppy videos. This fun picture is bound to make her smile! 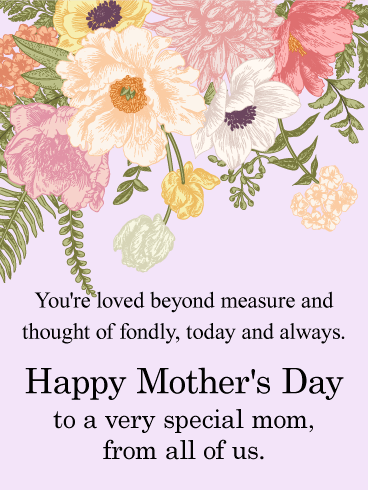 Show your mom how much you appreciate her with this fun Mother's Day card– the perfect combination of pizzazz and heartfelt meaning. The bright-colored hearts will capture your mom's attention right away, while the kind message will bring a smile to her face. Sometimes a mom just needs to be reminded how much she means to her children. 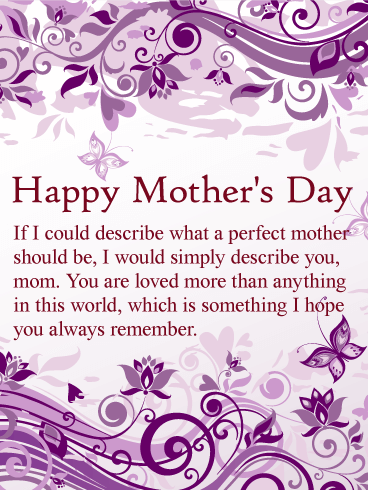 If you aren't great at expressing how you feel, this Mother's Day card will do the trick! 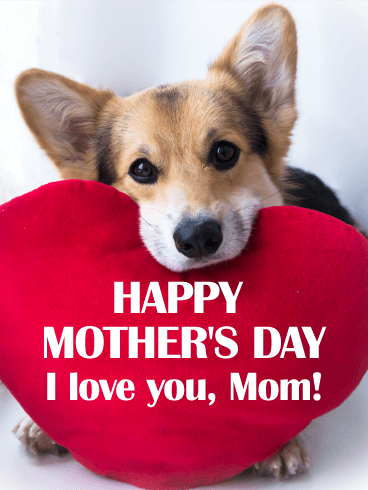 Isn't this Mother's Day card just adorable?! With its heart-patterned background and multiple shades of pink, it's the perfect choice for any mom in your life. 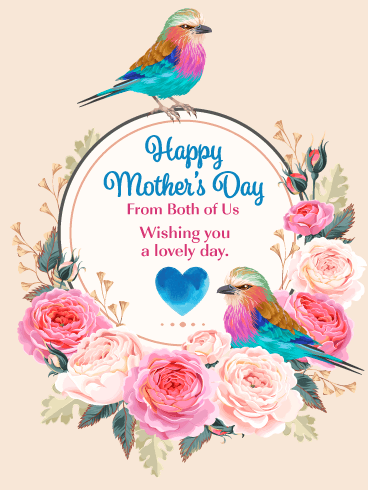 Whether you're searching for the perfect card for grandma, or looking for something simple to send your sister with three kids, you can't go wrong with this Mother's Day card! Is the mom in your life spunky and full of life?! 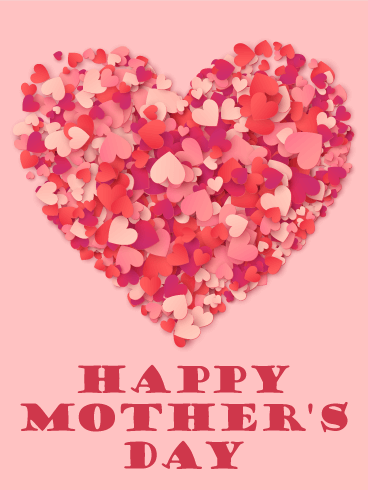 If so, send this Mother's Day card right this moment! The bright colors and fun design make this a great choice for the mom who has a bright personality to match this bright Mother's Day card! If your mom is more snappy than sappy, this Mother's Day card is the way to go. For the cat-loving mom in your life, you can't go wrong with this fun Mother's Day card! The picture and the verbiage are each a perfect balance of fun and sincerity. 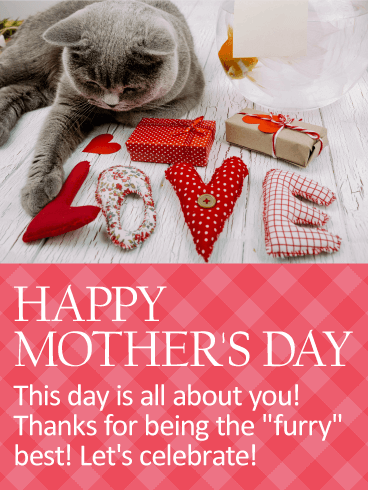 Telling your mom she's the "furry" best will undoubtedly garner a laugh, and she'll love the adorable picture of the kitten on the top of the Mother's Day card.